Season 4: Betty Suarez. America Ferrara as Betty Suarez. HD Wallpaper and background images in the Ugly Betty club tagged: season 4 betty promo. 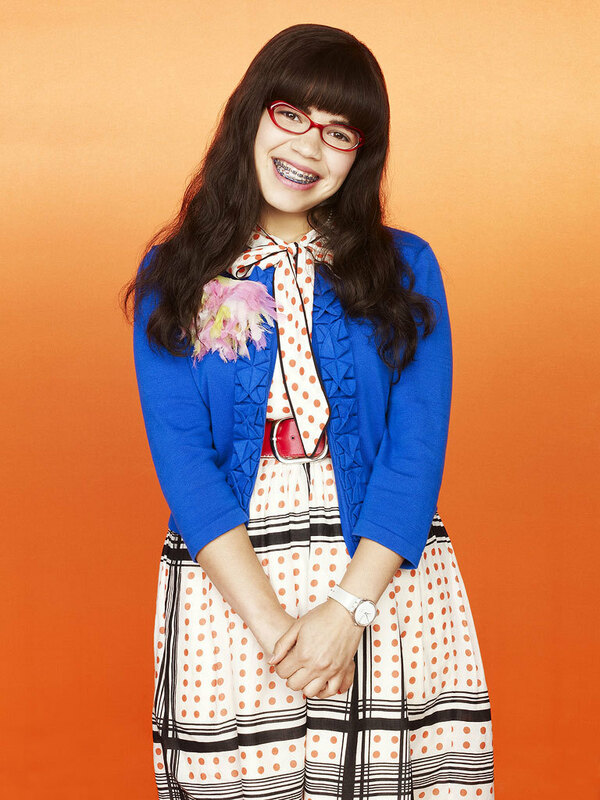 This Ugly Betty photo might contain outerwear, overclothes, well dressed person, suit, pants suit, pantsuit, and box coat.